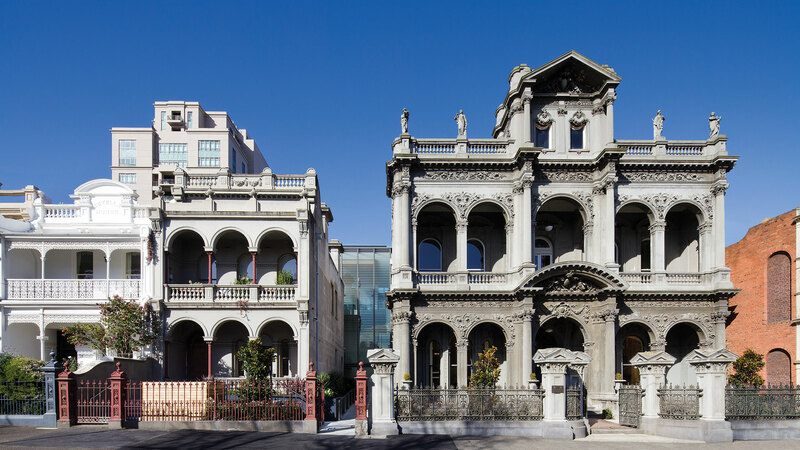 fjmt was appointed by the University of Melbourne to refurbish world heritage listed buildings in inner Melbourne. Medley Hall is a student residential college currently spread across four buildings. Three of these buildings have heritage overlays and the fourth is a 1970s addition. 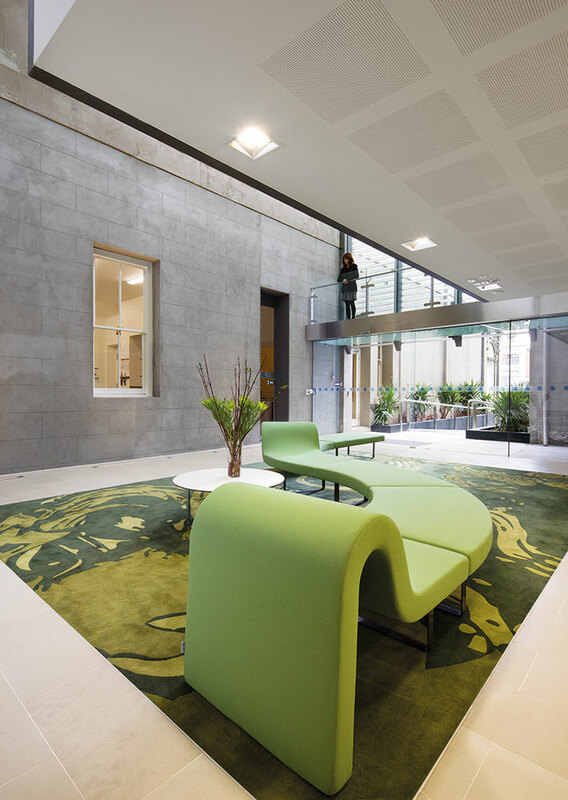 The college’s brief is to improve overall amenity by enhancing connectivity between the four buildings and adding much needed student lounges, a gymnasium and staff facilities. 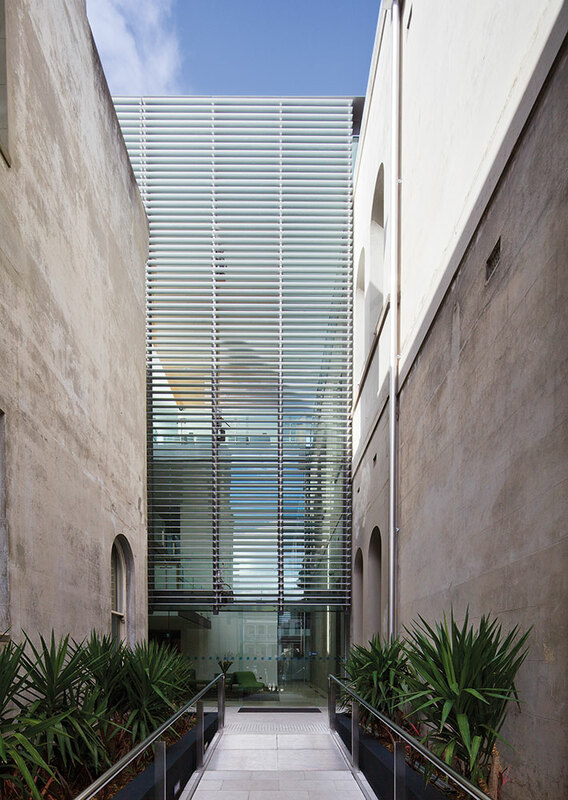 The fjmt proposal links the four buildings by inserting a new glass atrium structure, sensitively set back from the highly significant Drummond Street facades. 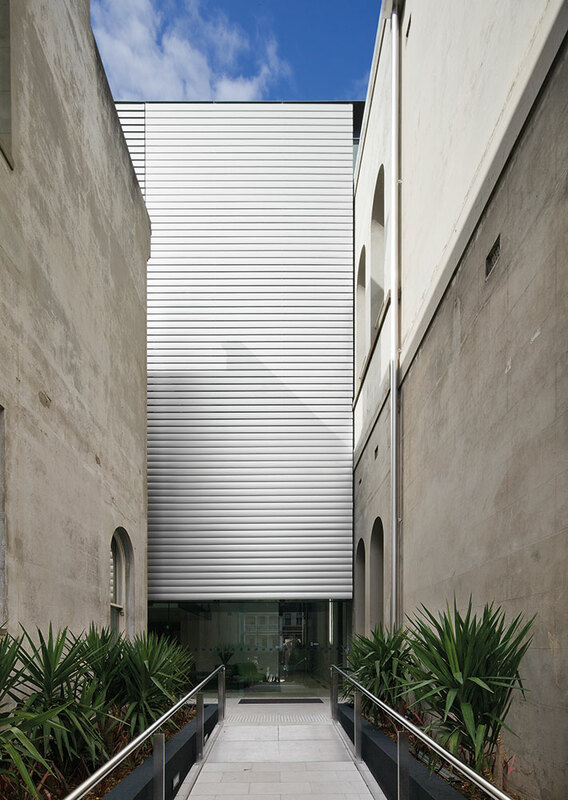 This ensures the streetscape is appropriately resolved at both an urban and architectural scale. Issues such as DDA compliance and code requirements are also addressed in this complex design brief. Opportunities to incorporate ESD initiatives have been explored as well as a total review of the four buildings’ existing services. An additional floor is proposed atop the 1970s addition, increasing the college’s number of rooms as well as providing an outdoor rooftop space for staff and student recreational use. Medley Hall is a series of existing buildings constructed over a 100 year period has required a rigorous review of existing services. fjmt worked closely with the project engineers to clearly establish the suitability of all existing plant and services for the project. This created a solid platform to review any new plant proposed and a clear ability to incorporate any ESD initiatives.  For example, it was proposed to incorporate night purging, mixed mode and a labyrinth to assist with bringing cool air into the building. 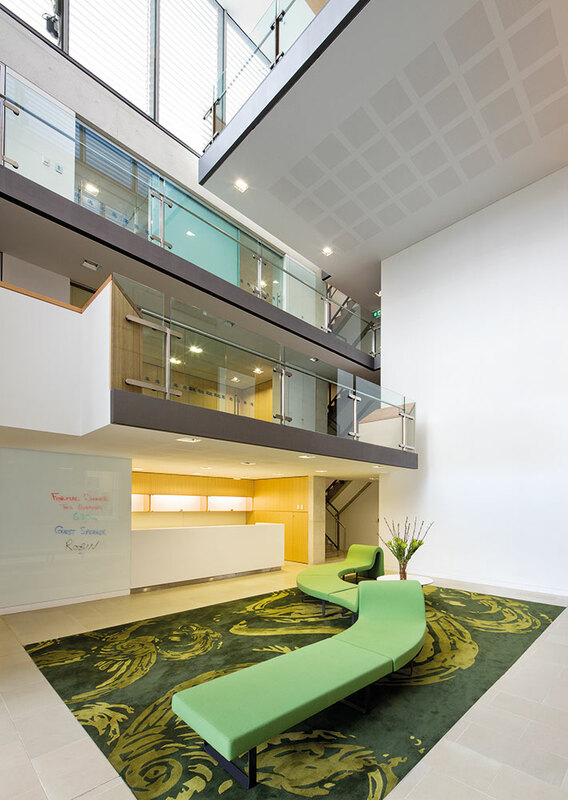 The proposed common space is designed around similar principles of a learning common and is focussed around flexible student orientated learning spaces.